Nokia's Comes with Music service, currently tied to just two handsets, is set to grow with the news that it will soon be supported on the N96. 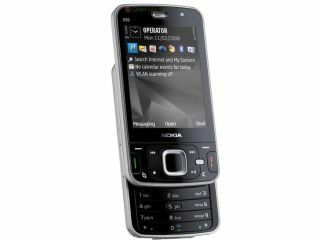 Currently Nokia's flagship device, it makes sense that the Finns would bring out a CwM version of the high-power handset. At the moment consumers can only use the unlimited download services on the 5310 XpressMusic, which doesn't support over-the-air music downloads, and the N95 8GB. It's also available on the Tube, AKA the 5800 XpressMusic, although this has only made a limited debut in certain parts of the world. T3.com have broken the story on the service coming to the all-singing, all-dancing multimedia powerhouse that is the N96, although there's currently no word on when it will hit or which stores will be carrying it. Nokia has had a tough time with the service in recent weeks, not least with the news that the DRM-ed WMA tracks can be cracked, theoretically giving users as much music as they like with no limits.